Washington, D.C., officials have quietly altered a $13 million plan to ease water bills after a former water board member threatened to sue, calling the plan unfair and unconstitutional. Alan Roth reached out to various government officials, attended DC Water board meetings and even launched his own tweetstorm, criticizing the program, which made it easier for religious groups to get water bill relief than other nonprofits that also needed help. District officials responded by changing the plan. "We're going to treat all nonprofits, which include churches and religious organizations, the same," said Tommy Wells, director of D.C.'s Department of Energy and Environment while addressing a group of potential applicants for relief Friday. The change comes after several months of planning and two prior information sessions held specifically to educate nonprofit and religious leaders about how to apply. Wells told the third and final group that a legal and practical review changed his mind about how the non-residential portion of the relief money should be distributed among groups in need. "Initially, we were treating them differently, but there was a lot of concern," acknowledged Wells. That's because the District's plan for relief originally required secular nonprofits to show the skyrocketing Clean Rivers fee accounted for 5 percent of their total revenue after expenses, but religious groups only had to show it was 0.75 percent. The Clean Rivers Impervious Area Charge (CRIAC) is a fee found on every DC Water bill. It's based on the square footage of each property that's believed to be impervious and could create stormwater runoff, like rooftops, patios and parking areas. 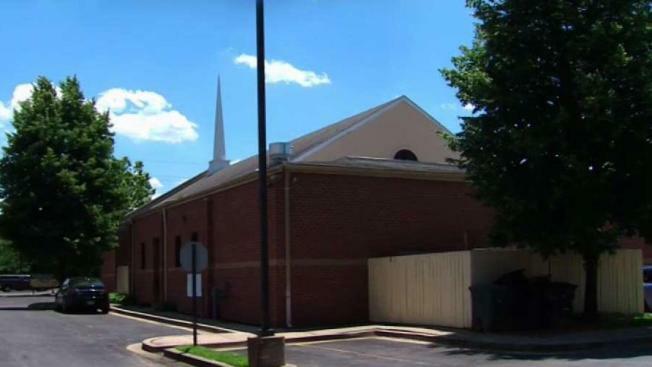 "We do believe religious organizations have been disproportionately impacted by the impervious area charge because they tend to have bigger buildings, parking lots and cemeteries," Wells told the I-Team. The News4 I-Team first exposed the problem last fall — churches and cemeteries were threatening to close or cut programs because the Clean Rivers fee was costing some of them hundreds of thousands of dollars per year. "For Temple Sinai alone, it's about $20,000 a year just for CRIAC charges, about 80 percent of what we pay for DC Water, and we just have a break even budget," said Ellen Agler. Agler agrees that the change to equalize who gets the relief money makes it fair for everyone. Now, all nonprofits and religious groups will have to show the Clean Rivers fee is 1 percent of their total revenue after expenses. They can get up to 90 percent of their Clean Rivers fees paid for by the District. "While it feels like it's kind of late in coming, I'm very pleased that DC Water and the mayor acknowledge and are have come up with a plan to do something about it," said Agler. Many are still concerned this relief program is only budgeted for one year. The D.C. Council has been talking about how to fund the relief in the future.